The past few days I'm promoting ownCloud everywhere. Next stop was Techministry. This is the hackespace of our city. Well, we gathered many ownCloud insiders and techministers to talk about ownCloud. First of all we discussed why to choose ownCloud and not other platform. Then we saw some basic use of ownCloud. Good questions came out of it. One of them was the encryption of the data files of users and another one was invite ownCloud users of the instance. Finally, an admin for a specific group is usefull if someone wants to seperate departments in his enterprise. So how is this possible? Kostas was next. He analyzed how an ownCloud instance is usefull for hackerspace. He told us the plans of Techministry to use ownCloud. 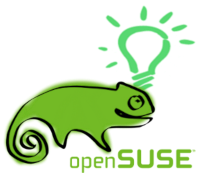 Finally we saw how to install ownCloud on Debian with SQLite and on openSUSE with MariaDB. I asked each one to use demo and check how it can be used. Another way to test it is openshift. Unfortunately Internet wasn't friendly. It was down due to rain. So we couldn't do it live. The guys were willing to do a meetup later and install ownCloud for Techministry members and everyone who wants to set it up on a Banana Pi (lot of insiders won one but it didn't come by the time of presentation). Well, first of all, you can use the files I used for my presentation.